I saw this new Christmas lattice cutout and wanted to try it. I also took this beautiful picture of the Christmas tree's reflection of the wall. I wanted to showcase it in the middle. Join in and write your own page! It's easy to do. How? 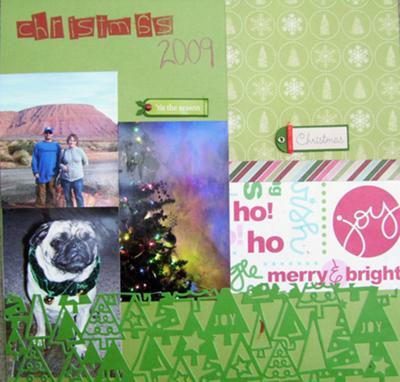 Simply click here to return to Christmas Scrapbooking Layouts Reviews.